Saturday 2nd November - On Friday November 1st, my local pub, The Candlemaker, celebrated their 1st birthday and announced a new Mexican street food residency hailing from Brighton called La Choza, just in time for Dia de los Muertos. The pub takes its name from the candle factory that was in use for over 100 years in nearby York Road. I popped in on Saturday afternoon with Flatmate Maggie to have a look at their new menu over a drink. The La Choza menu is enticing and I have heard only good things so far. Pick your base (burrito, quesadilla, burrito bowl), your filling (chorizo, pulled pork, roasted squash etc) and your sauce (go for XXXX Naga Ghost chilli salsa if you are feeling brave), and hand over £7.50. They have also brought in some Mexican beers - Negra Modelo is the pick of the bunch. There rotate 3 ales regularly, usually including something from Sambrook's Brewery which is round the corner. They always have Laine's Best on for £2.70 - in my last post I was delighted with £3.30 pints at The Southampton Arms miles away in Gospel Oak, so having this round the corner makes me pretty happy! 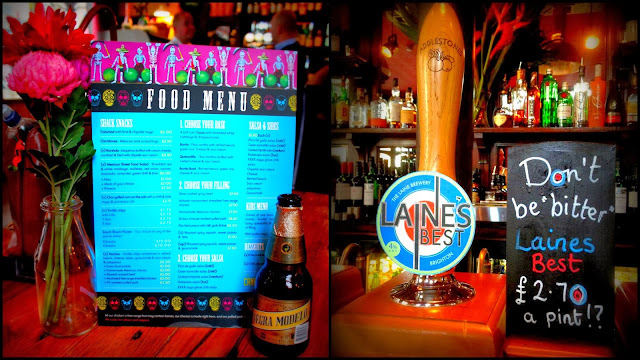 You probably won't have come across Laine's Best as it comes from a microbrewery pub in Brighton called North Laine. Both pubs are owned by the same group - check Drink In London / Drink in Brighton to find their other locations. 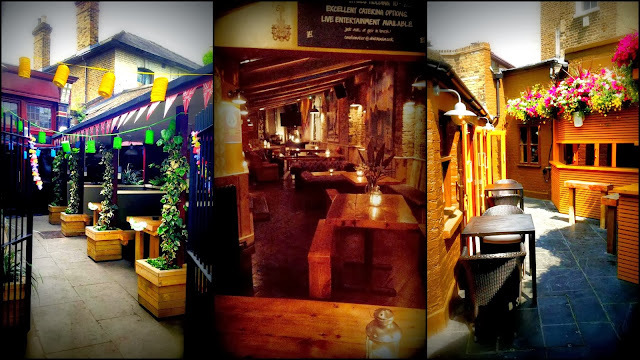 It's a charming all-weather pub - there are two outdoor spaces for summer, whilst the cosy log cabin feel inside is perfect for winter. They have just strung up some new lights for their back garden which should look magical, though they can't currently switch them on without turning everything else off! I hope they have a superb second year - The Candlemaker deserves to get noticed as a top London pub. Did I mention that they have a table for two tucked away with an Xbox? You're welcome! 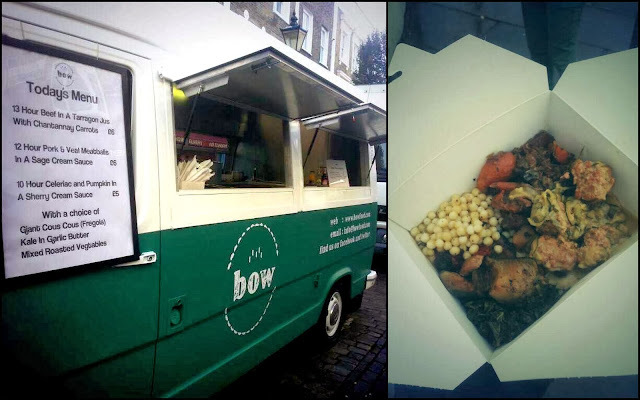 On our way in to The Candlemaker we noticed a new street food van called Bow parked outside as part of the Battersea High Street Saturday food market. 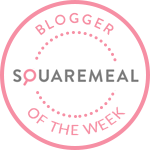 We often wander down to Northcote Road on Saturdays where you can find the likes of Well Kneaded Wagon and Laura Amos' Dessert Deli, but this is much closer to home so we decided to give it our full support! Bow is run by a friendly chef called Nik who left his job working in the city to bring slow-cooked British comfort food to the streets. He rotates between various adventurous dishes every day, and charges £6 for a very generous box of wholesome food. Nik sensed our indecisiveness and gave us a bit of everything. How can you choose between 12 hour beef in a tarragon jus with chatannay carrots, and 12 hour pork & veal meatballs in a sage cream sauce? I devoured it in seconds. 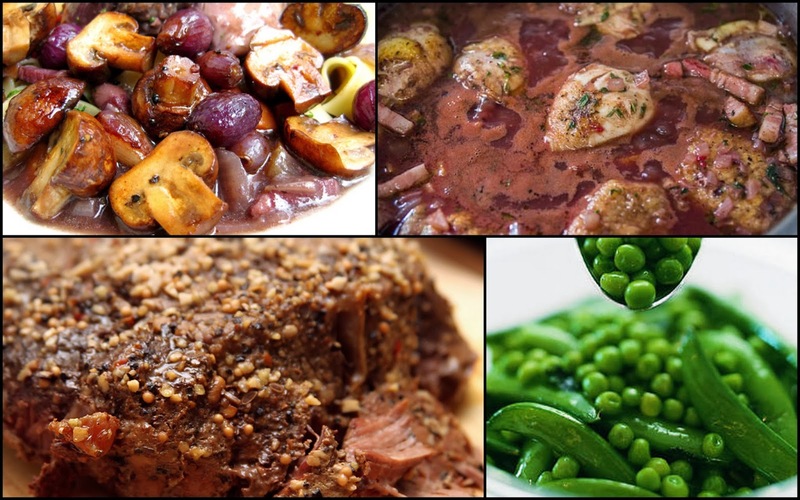 A quick look at the website shows some other mouthwatering courses including 18 hour red wine braised lamb shoulder with fregola spinach and beetroots, and 13 hour coconut chicken with fresh turmeric, lime, and sour orange with quinoa. The veggie options also sound superb (not often you hear me say that) - e.g. 10 hour marrow & aubergine lasagne, spicy tomato sauce with red wine. Nik only started trading just over a week ago so spread the word and seek Bow out. If you are reading, Kerb and Street Feast, sign him up! Thus ended the Battersea segment of our day. I convinced Maggie to ditch her plans to work all afternoon and come to Peckham to visit the Brick Brewery which was having an open day before launching properly in December. We were joined by Sam, Lee and Jane (experienced railway arch microbrewery fans from Bermondsey). 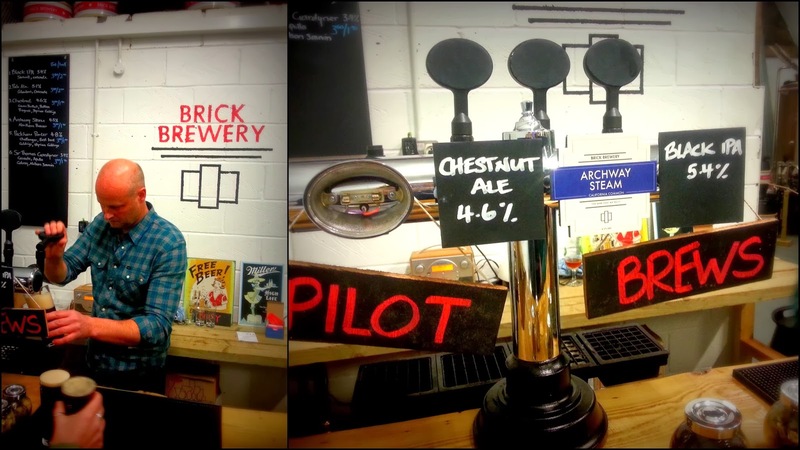 Brick Brewery is a one man operation, run by Ian Stewart, who got into brewing when his wife bought him a home brew kit 3 years ago. 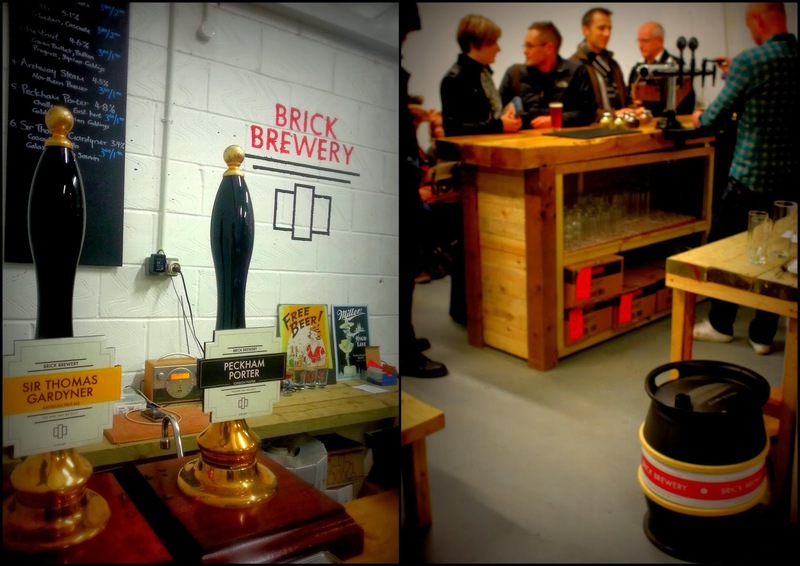 She may have regretted that as he has been brewing seriously ever since, and has finally put it all together in the form of Brick Brewery. There were 6 ales available - Sir Thomas Gardyner (American Pale Ale), Peckham Porter, Archway Steam (California Common), Black IPA, Pale Ale and Chestnut. We worked our way through all of them, except the Pale Ale which had run out by the time we arrived. There was something for everyone - the American Pale Ale was my favourite though I would imagine that they will probably be tweaked before I taste them again as this was a pilot brew. Ian has already got an excellent setup with plenty of room for tables which other London microbreweries may well envy. He is aiming to open up his brewery tap on weekends starting in December, and hopefully launch a bottled range early next year. 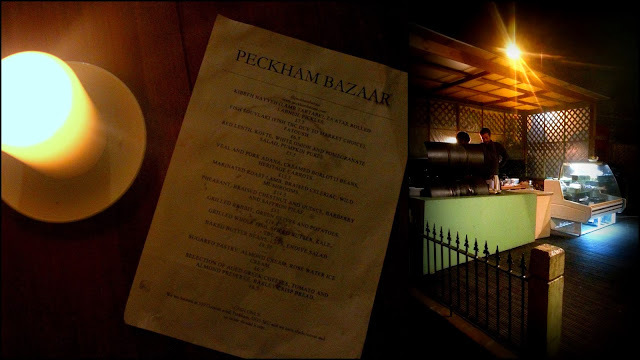 There is also Bar Story and Peckham Springs a couple of arches down, and Peckham Refreshment Rooms round the corner, so the location is superb. 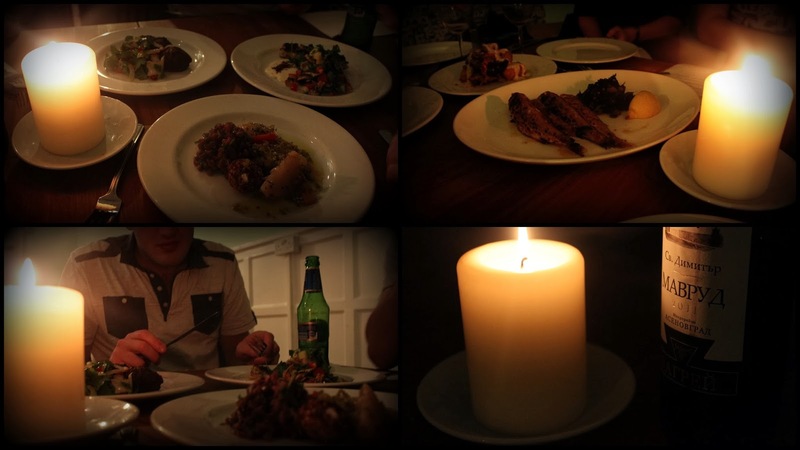 The day took an unexpected turn when all the lights went out at about 17.30. We assumed that this was just Brick Brewery teething problems but it turned out to be a local powercut which was also preventing trains stopping at Peckham Rye station! Local businesses immediately got their candles out and Bar Story & Peckham Springs looked particularly stunning with their new lighting. We were heading off to dinner, but we decided to return later to make the most of the unique atmosphere. Despite having only eaten the delicious Bow food a few hours before, I was ready for another meal, and walked for about 10 minutes to a very quiet part of Peckham to reach Peckham Bazaar. People have been raving about it so I was only too happy to book when Lee & Jane suggested going there for supper. 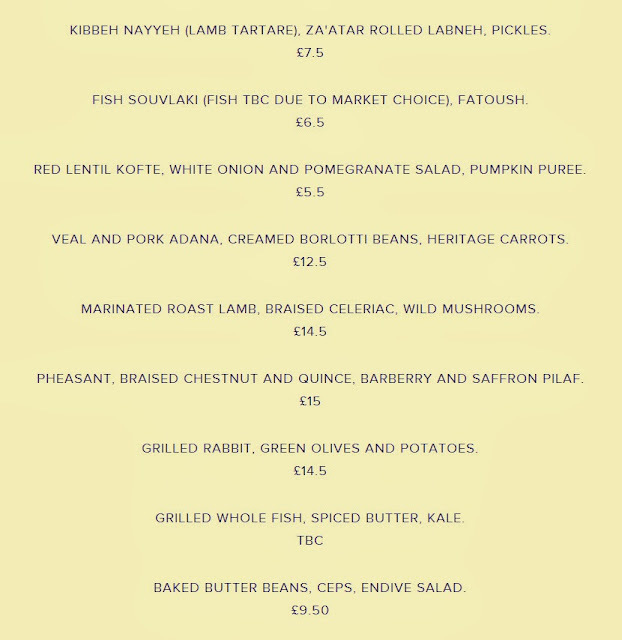 It wasn't busy when we arrived just after 6pm, but it was fully booked later on so make sure you reserve a table. It is open Thu-Fri 6-11pm and Sat-Sun 12.30-11pm. There is nothing else anywhere near Peckham Bazaar so head towards the lights when you get to the top of Heaton Road. The first thing you will see is head chef John Gionleka cooking up a storm over an open fire on the terrace outside. It is incredible what he achieves in such a small space! It must be lovely to eat al fresco in the summer in front of the kitchen, but indoors is a delightful, cosy space - perfect for a chilly November evening. Peckham Bazaar only took off a couple of months ago as John was previously running it as a daytime deli. There wasn't much passing trade so he concocted some more adventurous dishes and opened the restaurant as a popup - I believe it is now permanent, correct me if I am wrong! John is Albanian, and the food is described as Pan-Balkan. Rather than making difficult decisions, we decided to trust them and order pretty much everything on the menu with the Mediterranean Red Mullet from the specials board as there were 5 fish and 5 of us! To drink, we ordered a Bulgarian red wine and some bottles of Efes. It worked well as a sharing meal, although it was hard to watch 4 other people taking my delicious food away. I felt that the starters were almost stronger than the mains, and not much smaller. The Fish Souvlaki was superb, as was the Kibbeh Nayyeh (lamb tartare). From our excellent 5 main courses, the Pheasant (with braised chestnut and quince, barberry and saffron pilaf) stood out for me, along with the Grilled Rabbit which was cooked to perfection. Every dish deserve its place on the menu, and I would order exactly the same way next time. 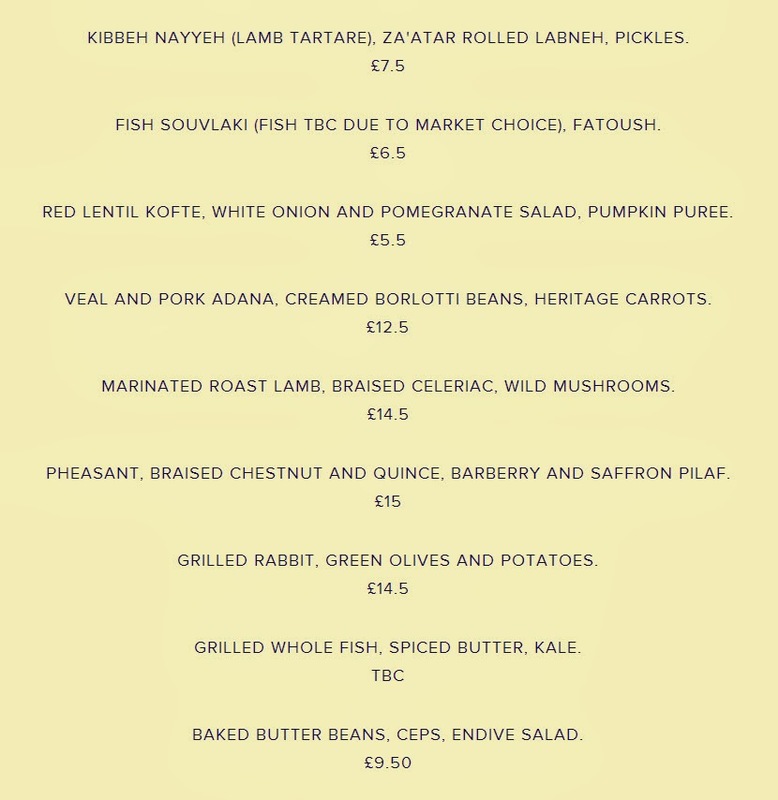 The menu changes regularly so don't be disappointed if you can't get your fix of creamed borlotti beans - I'm sure everything will be mouth watering. If you want some more photos of some older menus, head to the Timeout review here. The staff were friendly and informative. They were amused that I tweeted a picture of their toilets before anything about the food - it was a funky design! 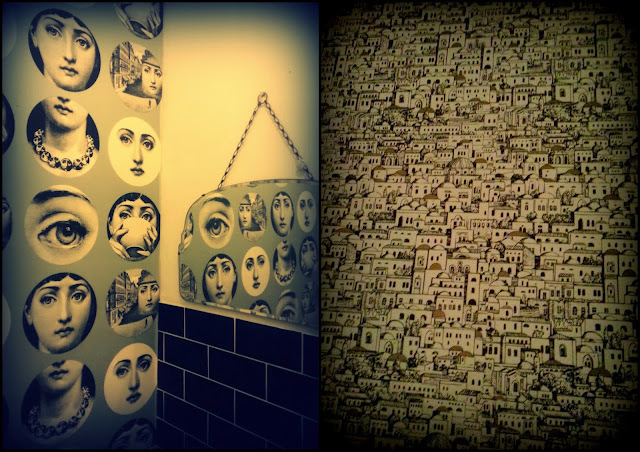 The housing pattern on the walls of the main room was also eye catching. I can't recommend this place highly enough, it is truly one of London's hidden gems (a phrase that has been overused this year!) - book now! P.S. Cash only. We made our way back to the railway arches where the power was still out. Bar Story were shutting early so we headed straight to Peckham Springs, another summer popup which now seems to be permanent. Peckham Springs is a bar attached to the Sassoon Gallery, serving up £6 cocktails to a hipster crowd. They had just set up their new lights which would have looked wonderful, especially outside, but I was very taken with the candlelit setup as you can probably tell. The classic cocktails are a bargain at £6, giving Seven at Brixton's £5 drinks a run for their money. They are even cheaper during happy hour from 6-7. The solid beer selection includes Brooklyn Lager and Curious IPA. If you get peckish, street food vans park up in the spacious yard outside - check the website to see who will be there. Tongue and Cheek, Fundi Pizza, French and Grace and Mother Flipper amongst others are turning up before Christmas. 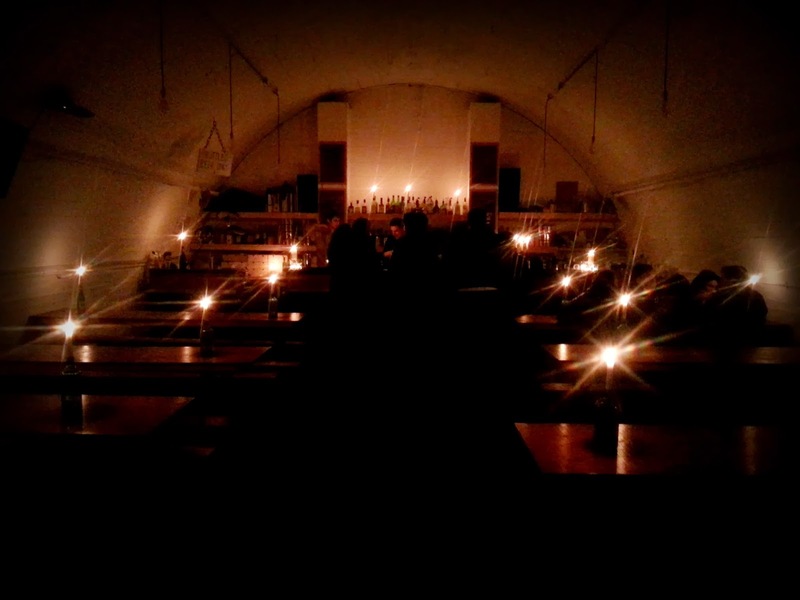 The atmosphere was pretty special - the barmen were having a great time, and the bar looked magical. I suggested that they scrap their new lighting and do this every week! By the time we left it was packed, although they obviously had some of Bar Story's regular clientele as well. They currently only open Fridays and Saturdays from 6-12 in the evenings. Once Brick Brewery is open on the weekends, you could spend a whole day in the secluded courtyard of archways - beer, street food, two bars with great happy hours and a friendly crowd. Who knows what else will be open here in a year's time. Maggie went home and the rest of us moved on to a friend's house for a couple of drinks, but I had to return to Peckham Springs later to find Maggie's purse. Luckily, it hadn't moved - the hipsters probably thought it was an art installation and admired it from afar. Who knew that walking through Peckham in the pitch black on your own, with no phone signal and no trains home, could be such a pleasant experience? Well done Peckham - they should have a powercut every week! Team List - Maggie moves ahead of Sam in to 4th place, whilst Lee joins Tim in 6th on 27 points. Jane moves to 20 points, closing in on Taro who is in 9th on 21. It's very close in the Top 10.